Social Farming is the practice of offering activity on family farms as a form of social support service. In Social Farming the farm remains a working farm at its core but invites people to participate in the day to day activities of the farm. Social Farming provides people who use services with the opportunity for inclusion, to increase self-esteem and to improve health and well-being. The farm is not a specialised treatment farm; rather it remains a typical working farm where people in need of support can benefit from participation in farm activities in a non- clinical environment. SoFAB was a highly successful EU INTERREG IVA Funded project which operated in the Border counties of Ireland and all of Northern Ireland in the period 2011-2014. The Social Farming Office (RoI) was opened in April 2015 by the Leitrim Development Company with the assistance of the Department of Agriculture Food & the Marine and the CEDRA Fund. It has been re-established to continue the work of the recently completed and highly successful Social Farming Across Borders (SoFAB) Project and will draw on the lessons learned and materials produced by the project. 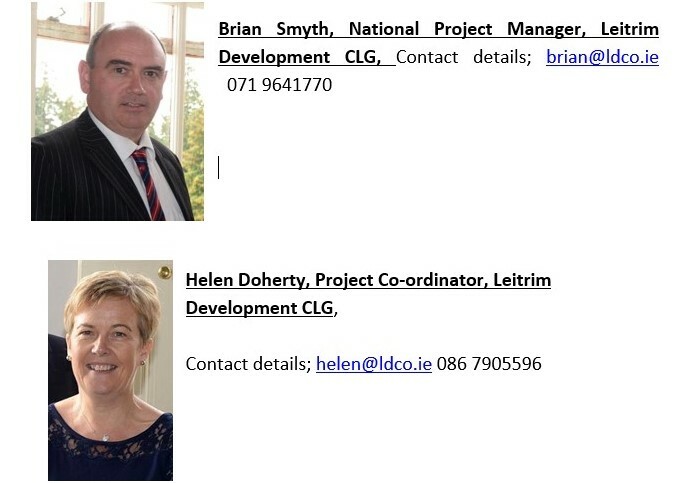 Leitrim Development Company have been awarded two contracts by the Department of Agriculture, Food and the Marine to support and develop Social Farming in Ireland over 2017. During 2017 we will undertake two distinct pieces of work. The first is to develop and establish a countrywide Social Farming Ireland Network involving all interested stakeholders from farmers, advocates, service providers, families, and other agencies and organisations and to provide a Social Farming Support Office to facilitate this Network and it’s development across Ireland. The second element of this work is a collaboration with University College Dublin (UCD), to establish and examine best practice social farming projects and provide evidence based learning through sampling placements, on the outcomes for participants engaging with Social Farming. 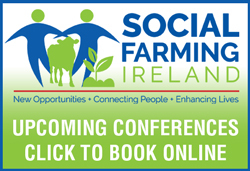 The Support Office continues to support the development of Social Farming throughout Ireland. New Participants in Social Farming activities will be supported and Social farming initiatives will be further developed throughout the country. Continue to raise public awareness of social farming through public events, mainstream and social media, engage with and support new initiatives around Ireland which are progressing and developing social farming. 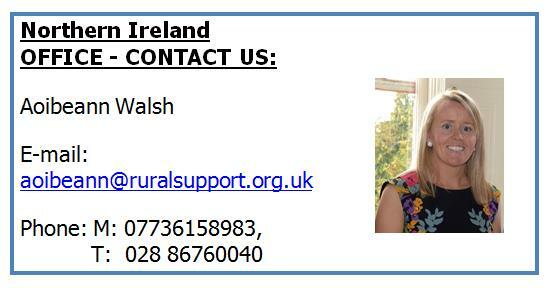 The Social Farming Office (NI) - the Department of Agriculture and Rural Development (DARD) has provided support for the continued development of Social Farming in Northern Ireland through the appointment of a Social Farming Service Coordinator with Rural Support (www.ruralsupport.org.uk). Through this role Rural Support will further develop the network of providers and users and provide new opportunities for individuals to avail of and benefit from Social Farming Activities. This website and its content is copyright of Social Farming Across Borders - © SoFAB 2014. All rights reserved. you may copy the content to individual third parties for their personal use, but only if you acknowledge the website and SoFAB as the source of the material.